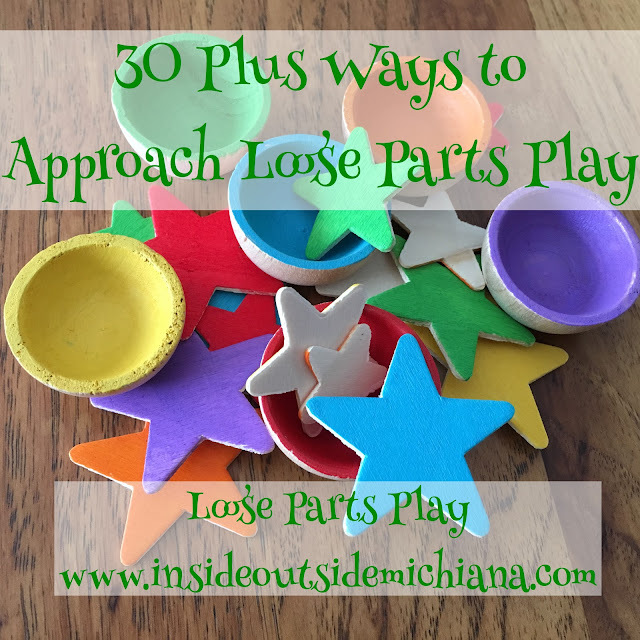 30 Plus Ways to Approach Loose Parts Play! The term “loose parts” has grown in popularity recently as educators and parents have rediscovered this timeless approach to play. Loose parts play can be as simple as finding a stick and using it in play or it can take a more complex approach to open ended landscapes. The term “loose parts” became popular with the Theory of Loose Parts by Simon Nicholson. He advocated for movable items in outdoor play settings in his work as a landscape architecture. Today, the term is fairly ambiguous with some guiding principles: open ended materials and lots of options. See a post about quotes about loose parts here and the basic premise and resources here. I met Chris Kiewra last year at the Leadership Institute National Conference, one of the collaborations Nature Explore puts together with the Outdoor Classroom Project. She is delightful and I was delighted to see this new research in the recent copy of IJECEE from the Natural Start Alliance I picked up at the International Children and Nature Network Conference. 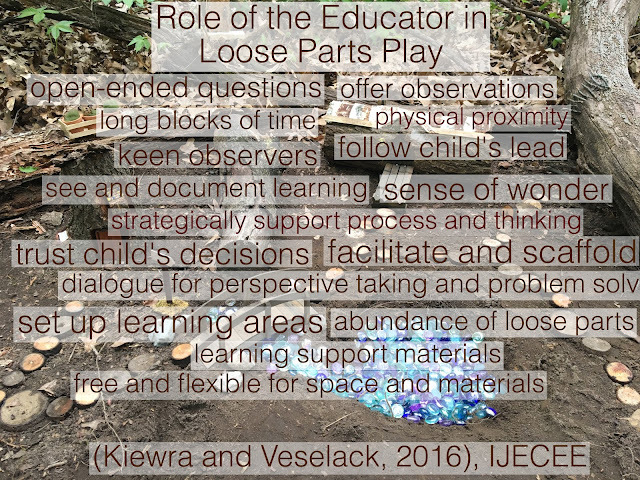 What is the role of educators in loose parts play? What is our role as educators in promoting creative or loose parts play? Read the full article here. Join us for discussions on the topic in Loose Parts Play on Facebook!